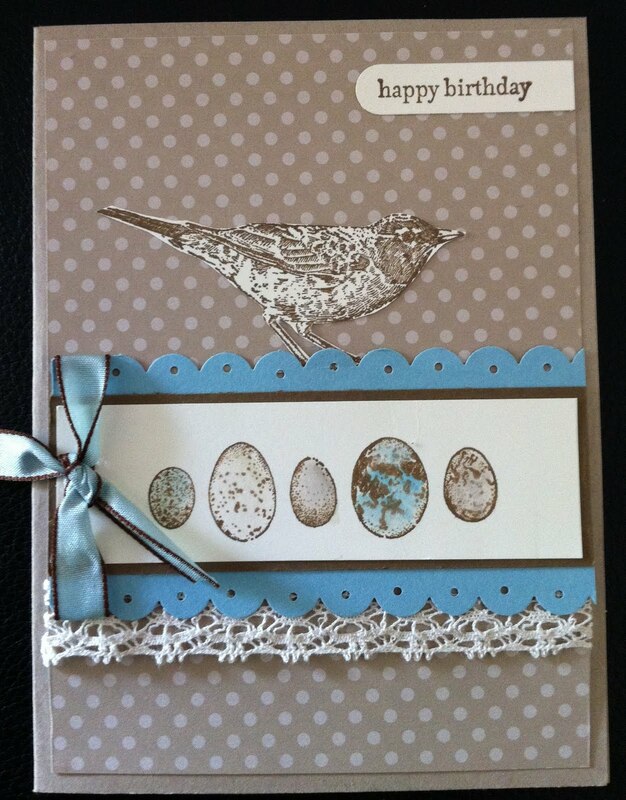 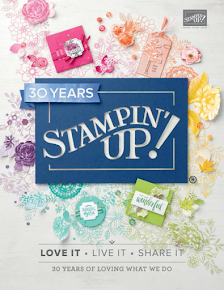 Another Bird card - I just love the nature walk set and a little birdy told me a special someone is having a birthday.....and I know that person loves Nature walk too! 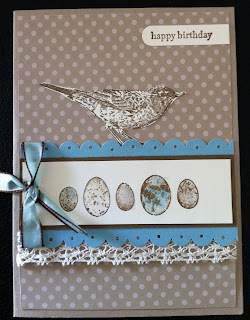 So here it is a card for a special bird loving friend. The Perfect Touch: Vanilla Lace, Taffeta Ribbon. Blender Pens (102845).